Fireplaces are good for two things: 1) Christmas present delivery, and 2) drinking next to while Portland gets battered by snow and freezing rain. 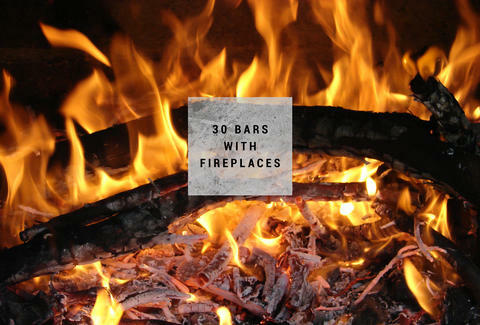 Making sure the latter is even better than that year you got a Sega Genesis AND the Teenage Mutant Ninja Turtles Party Wagon, is this epic list of 30 fireplace-equipped drinkeries, all arranged by neighborhood, so you can find the one closest to your house/ get your fireplace bar crawl on. 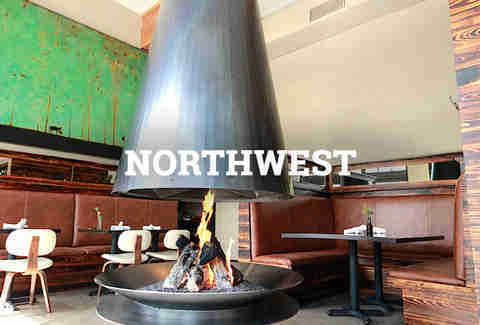 This place is so committed to open flames, they're serving campfire-inspired eats in a space dominated by an indoor fire-pit. Between the fireplace and the decently warming South-of-the-Border eats, you'll soon forget it was raining when you came in. And thanks to the killer tequila selection, you probably won't notice if it still is when you leave. The squat, cherry-lacquered brick fireplace is right in the middle of the dining room, where they're serving French classics like steak frites, and... um, Oregon Rockfish poached in butter. It's getting hot in here, 'cause this cozy lodge has two stone fireplaces, so take off all your clothes. 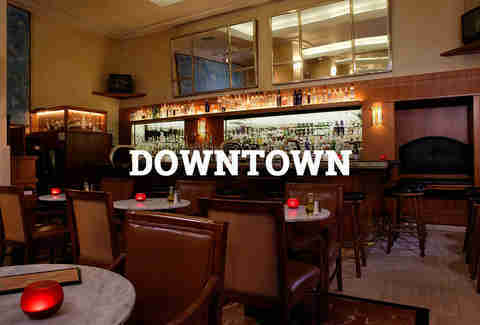 Most known for their intricate desserts, the classic hearth and warm fireplace make this an irresistible date spot. If the floor-to-ceiling brick fireplace isn't enough to get you inside, the best-on-the-west-coast onion rings probably are. 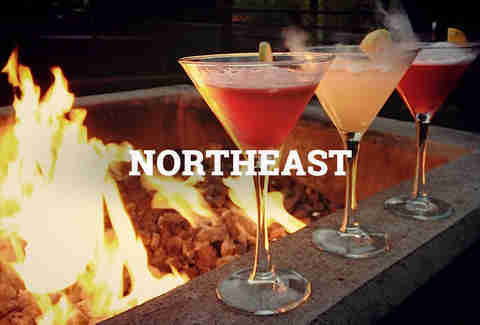 Technically way northwest up in St. John’s, this blue collar spot has killer outdoor fire pits, which you should put off checking out 'til Portland's Summer starts around June... 2016. The casually industrial eat/drink spot boasts a massive indoor fireplace, beside which you should be eating a yellow-and-white-cheddar grilled cheese w/ a fired egg & bacon. 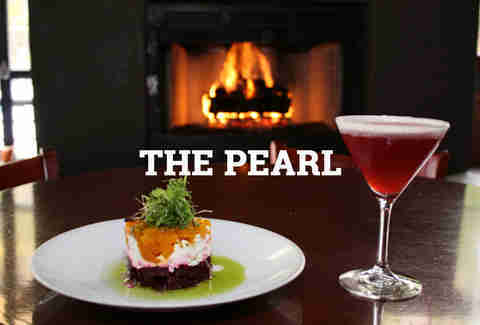 One of the premier and priciest cocktail lounges in The Pearl, Vault makes it worth the cost, thanks to a roaring fireplace with lots of seating, and a horseradish-infused vodka cocktail named after Diane Keaton. The dining room may be perennially packed, but cozy on up to the bar, where there's hardly any wait and one of the 'hood's best fireplaces. Gas fireplace embedded in wall, limited seating nearby though, so get there early and stake your claim. Technically, it’s a McMenamin’s, but it does have a fireplace built right into your table, and the usually plentiful happy hours offering things like Third-Pound Cheeseburger, and Cajun tots. It's one of our favorite places to day drink (or would be, if we weren't too busy working at a sweet men's lifestyle site to do that sorta thing) thanks in part to its two outdoor fire pits. The beautiful open fire pit in the middle probably... waitforit!... gins up business by itself. Divey Greek spot with indoor fire pits and neon lighting. Huge menu, big portions, and bikers slurping Bloody Marys playing Video Crack. Shortly after man discovered fire came what is arguably man's second-most important invention: limited release, small-batch, barrel-aged brews on tap. 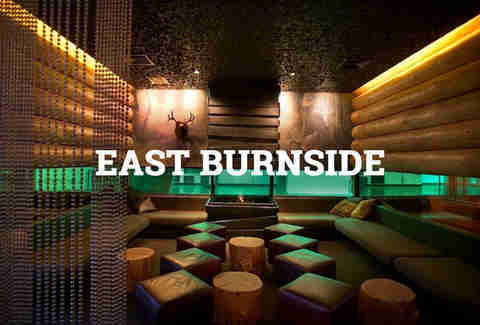 The biggest party school in the Pacific NW(!) has TWO fireplaces: one in The Detention Room - a cigar bar with wood-burning fireplace - and one in The Courtyard Restaurant - an outdoor space with fire pits and the old cafeteria seats. Awesome wood-lined indoor fireplace plus covered, outdoor patio with killer open fire pit. Maybe that’s why it’s one of our favorite late night spots. Between the fireplace, the decently warming South-of-the-Border eats, you'll soon forget it was raining when you came in. And thanks to the killer tequila sele... wait, this sounds familiar. 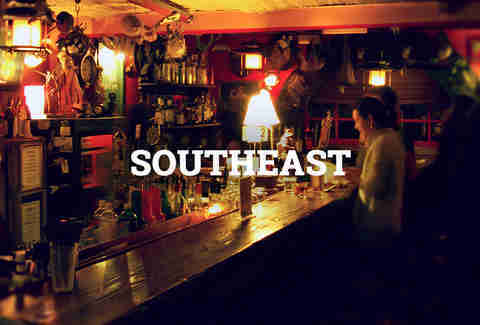 Yep, there're two of these Seattle-based bars. The last part of this place's name is presumably what they do to this in their outdoor fire pit, but is also what someones done to you if they tell you to go out there and wait for 'em by it before, like July. C’mon, it’s been voted the best outdoor patio in Portland! Outdoor covered fire pit that you must tend to, ensuring that wherever you end up, you’ll look, smell, and feel like you just went camping. As if you weren’t already planning on spending some time here. There’s a fireplace, but you have to ask yourself, is it worth it? With free wifi and 16 satellite streams, the fireplace is just icing on the cake at this sports hang. We really shouldn't tell y’all about this place. Not only is there a dope fireplace, but the quirky charm of this place has been helping those in-the-know get ladies... um, in-the-somewhere-else for years. Elegant white marble in the Heathman’s Tea Court Lounge. Plush chairs, plusher environment. Vaulted ceilings, pool tables, and a fireside flatscreen. Outdoor patio with long, sleek black marble fire pit in Hotel Modera.